It is a 12W Adapter/Power Supply Module/Voltage Regulator/Auto Buck Boost Converter, Input voltage: DC 3~35V, Output voltage: DC 1.25~30V (adjustable), Output Current: 1A (when 9~35V input and 12V output, if 5V output can achieve 1.5-2A), Application: DIY Power adapter, industrial equipments, electronic equipment, Communications Equipment etc. The following are not considered heat dissipation, output current limit (current small to large test), when used Please left margin. Battery voltage regulator, 12V battery (10-14V) can output voltage at 12V, 24V battery output voltage at 24V. Solar charging regulator, it can stabilize voltage fluctuations in solar cells, and can give the battery charge, battery to avoid overshoot. 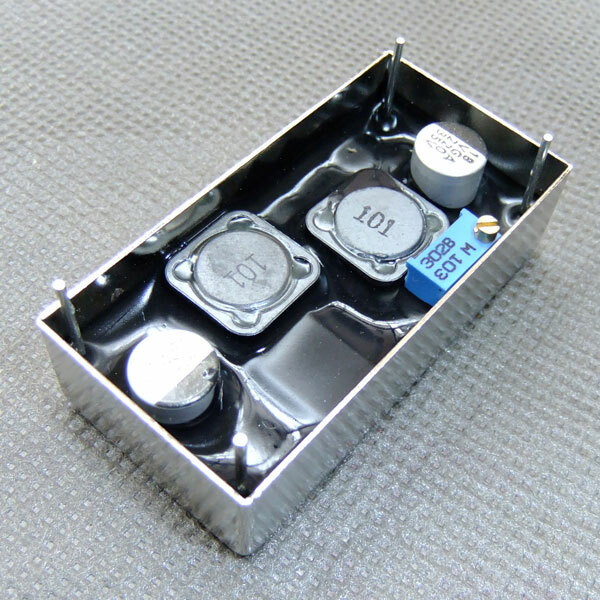 In order to power your electronic devices, designed for wide voltage range.